The world of rendering has exploded in the past decade. We’ve come a long way from the early days of CAD models, and the discussion now seems to have moved to a concern over whether renderings might even be too realistic. However you look at it, the ability to create high quality renderings is something we will all come face to face with at some point in our careers as designers. Alex Hogrefe, creator of Visualizing Architecture has sought to share his wealth of knowledge in the realm of rendering. He created this site as a part of his own M. Arch thesis work at the Miami University in Ohio, but it has since evolved into somewhat of a manual for all things rendering… SketchUp and Photoshop rendering... Only. 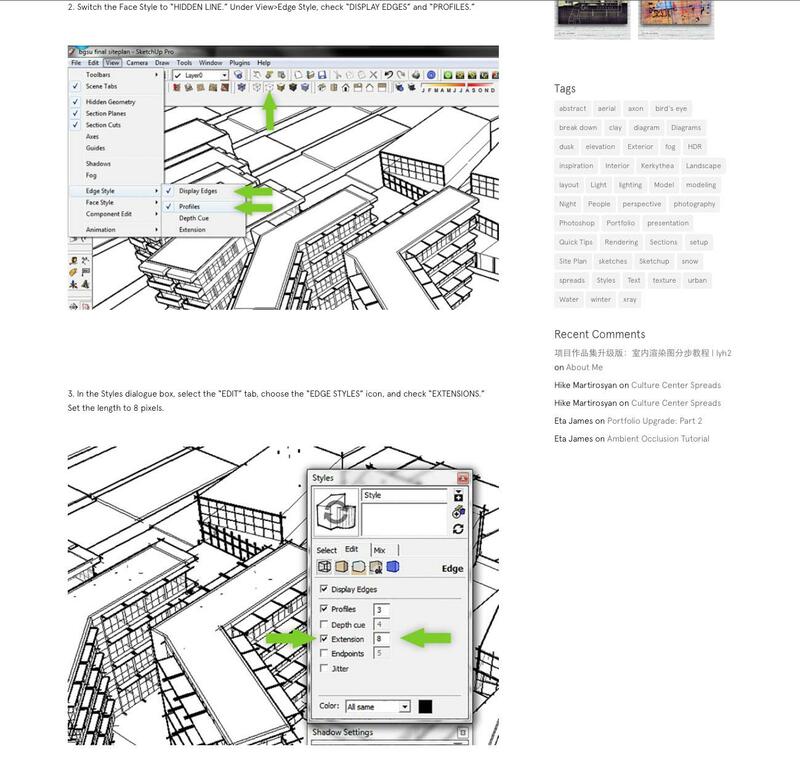 For those of us who know programs like Rhino and Revit, this may seem like a step backwards, but take a look at some of his shared work and I’m sure you’ll be convinced otherwise. 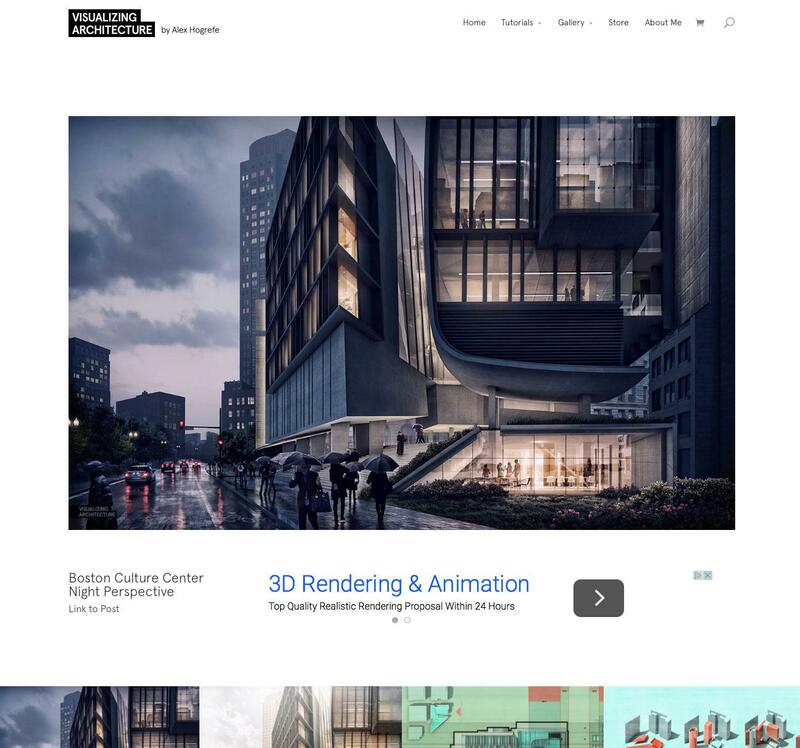 Using only SketchUp models and the tools available in PhotoShop, Hogrefe creates incredibly compelling renderings, like the one pictured here of a night scene of a proposed Boston Culture Center. The site contains a multitude of tutorials divided categorically into Fundamentals, Styles/Effects, Final Moves, and Other Tutorials. From “Adding People” to visualizing “X-Ray”, there is a great breadth available, and he updates and adds tutorials regularly. Each tutorial usually contains a YouTube video walking you through the particular process as well as explicit step-by-step on-screen instructions. These tutorials are pretty foolproof and comprehensive, and Hogrefe has showcased a huge collection of “visitor” work largely based on the work of people who have followed his tutorials. There are also great examples of his own work… some of which he is selling, if you are that impressed by his work! Whether you are new to rendering entirely, you’re a bit rusty, or you want to learn some tricks and improve your own skills, there is definitely something on Visualizing Architecture that you could learn from. Take a look at the site - your renderings might just need a reality check.